It’s a sparse week for This Week In Home Video, but there are still some dynamite new and classic releases. These include a stunning documentary, a fantastic screwball comedy, a ’70s throwback film, an Austrian horror film, and a straight-to-Lifetime biographical drama. Let’s kick things off with Asif Kapadia’s documentary “Amy” about the life and death of acclaimed singer-songwriter Amy Winehouse. The film itself focuses on Winehouse’s struggle with substance abuse before and after her career took off, and how that impacted and affected her music. Kapadia conducted over 100 interviews with Winehouse’s friends and family to construct a narrative of her life and how she lived in spite of her problems with addiction. “Amy” has garnered widespread critical acclaim, with many claiming that it’s a damning portrait of contemporary celebrity culture and how we’re all complicit in its various social ills. It’s a must-see not just for fans of Winehouse, but for anyone interested in the best films of 2015. Other new releases include Noah Baumbach’s hilarious new film “Mistress America,” another in a long line of touching coming-of-age films from the veteran director. Starring Greta Gerwig and Lola Kirke, the film follows Tracy (Kirke), a freshman creative writer at Barnard as she befriends her new step-sister Brooke (Gerwig), a 30-year-old pseudo-cosmopolitan who teaches her how to be alive unaware that Tracy is turning her life into a story. Next, there’s “Mississippi Grind,” a throwback to Altman’s “California Split,” about two gamblers (Ben Mendelsohn and Ryan Reynolds) who team up to search for some better luck. Then, there’s horror film “Goodnight Mommy,” about two twin boys (Elias and Lukas Schwartz) who believe their mother isn’t who she says she is after she has some cosmetic facial surgery. After that, there’s the widely-panned “Grace of Monaco,” a film about the Grace Kelly’s life that was mired in controversy, was never released theatrically, and eventually aired on the Lifetime channel. Finally, there’s Takashi Miike’s new film “Yakuza Apocalypse,” a midnight movie about a yakuza vampire and a battle with a foreign crime syndicate. There’s only a couple new classic releases this week. From Criterion, there’s Michael Ritchie’s debut feature “Downhill Racer,” starring Robert Redford as an ambitious skier competing for the Olympic gold on an underdog American team. Finally, Kino Lorber has two new Blu-rays from director Alan Rudolph: First, there’s “Welcome to L.A.,” starring Keith Carradine as a womanizer whose sexual adventures and failed affairs take him around the city; second, “Love at Large,” about two private eyes (Tom Berenger and Elizabeth Perkins) who team up to solve a case. But what sets “Amy” apart from similar train-wreck bio-docs aren’t necessarily any new revelations. After all, her song lyrics – which Kapadia smartly employs as captions onscreen to draw out their power – pretty much unveil the heart of the tale all on their own. Instead, what stands out is the almost overwhelming sense of voyeuristic intimacy achieved by a vast array of archival clips, many unseen before and some shot by Winehouse herself, accompanied by vividly candid current-day audio commentary by those who knew her best. Sometimes, it feels as if we are eavesdropping on day-to-day conversations rather than just hearing the usual litany of platitudes and regrets. 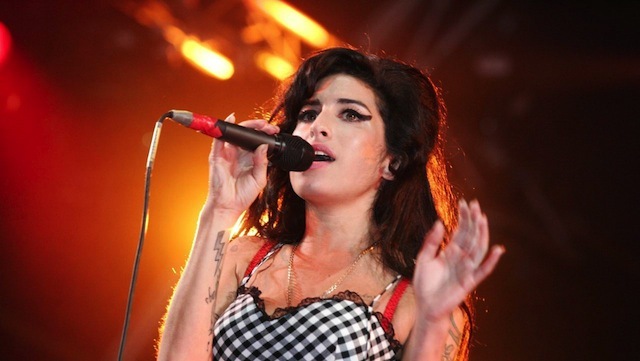 With more than 100 subjects interviewed by Kapadia and his team, ranging from invaluable childhood chums like Juliette Ashby and first manager Nick Shymansky (a sweet guy who I am guessing harbored a unrequited crush for Winehouse) to professional collaborators such as rapper Yasiin Bey (aka Mos Def) and producer Salaam Remi, “Amy” could not feel more personal unless the director had included X-rays of Winehouse in the mix. Read more. “Mistress America” steamrolls through its mesmerizingly dense running time with such joyous violence that its themes only bubble up to the surface in retrospect, the heart of the movie identified like the dental records of a body that’s been burned beyond all recognition. This is the second script that Baumbach has cowritten with Gerwig (his creative and romantic partner), their collaboration adding an extra wrinkle to the film’s obsession with what we borrow from the people around us. A giddy treatise against the need for outside validation, “Mistress America” nimbly vivisects how we define ourselves in an age when Twitter allows people to broadcast their achievements so widely that every cell phone doubles as an EKG machine for our self-worth. How great it is, then, to see that these women ultimately belong only to themselves. Read more. Gambling is where the iron laws of probability collide with the human propensity for magical thinking. Gambling movies tend to stack the deck in favor of the miraculous. Can you believe that long shot came in a winner? That ace showed up on the river? That seven landed again? Maybe not, but what’s the harm in pretending? Gerry is a walking answer to that question, but never mind. “Mississippi Grind” indulges in some of the fantasies of the genre without sacrificing credibility. There’s plenty to see here that’s grubby and sad, and a lot more going on than just games of chance. There is, above all, a two-handed demonstration of actorly skill. Mr. Reynolds, whose ventures outside Hollywood leading-man territory have been admirable if not always successful (see “The Voices” and “Self/less”), uses his natural likability as a kind of disguise. You can’t always tell what’s sincerity and what’s misdirection, and after a while he lets you see that Curtis isn’t entirely sure himself. Gerry, who at first seems merely pathetic, gradually reveals layers of guile, pride, gentleness and fury, and Mr. Mendelsohn shows himself, once again, to be an almost infinitely resourceful actor. Read more. Startlingly confident for a first feature, the film surely benefits from the experience of its producer, Ulrich Seidl, an Austrian director who specializes in punishing studies of human despair, including his recent “Paradise” trilogy. But “Goodnight Mommy” is punishing in a much more visceral, genre-friendly way. Writer-directors Veronika Franz and Severin Fiala lure you in with the dark, fairy-tale whimsy of their setup — enhanced by the bucolic beauty of the rural backdrop, captured on 35mm — only to bring the steel jaws of the bear trap down, as the tension between mother and sons escalates beyond mere mischief. The movie seems engineered to exploit phobias, from a common aversion to creepy crawlies — note the early appearance of a terrarium full of hissing insects, this film’s equivalent of a Chekhovian gun — to a general sensitivity about the mouth, a vulnerable orifice that Franz and Fiala treat with all the gentle care of a sadistic dentist. Read more. While not as campy as the material might suggest, it’s a mixed bag of thinly conceived theatrics. Kelly’s relationship with Hitchcock has the half-baked air of a Lifetime movie. Arash Amel’s script hums along in professional strategy sessions between Rainier and his colleagues, but is so enamored of its heroine that it goes to laughable extremes to delineate her heroic resolve. Frank Langella is admirably sage-like as the priest who offers guidance, while Derek Jacobi has the thankless task of portraying an aristocrat tasked with teaching her to play the royal part. In the scenes where he trains her to face the public, the movie takes an unfortunate page from “The King’s Speech” and attempts to turn Kelly’s quest into an athletic undertaking. But the uneven aspects sometimes play in its favor. Small touches hint at the darker context of Kelly’s life, including one tense sequence where the exasperated actress speeds down a twisting dirt road, foreshadowing her death in a car crash decades later. Read more.